As winter is hitting Holland, this warm and filling breakfast takes 5 minutes, tastes like dessert and will easily keep you going until lunch! Porridge… bleeegh!! At least that has been always been my first reaction. My former roommate had warm porridge every single morning. She’d put a cup of porridge with milk in the microwave and I could never understand how she could eat this warm goo day after day after day. Believe me, I tried it… with cocoa, with sugar, with Nutella and lots of other ingredients just to mask that horrible taste. But I couldn’t do it. Conclusion, porridge is not for me. Case closed! Never to be opened again! But suddenly oats were all over the news here in the Netherlands. A superfood! A healthy start of the day! Photos of bowls of oats everywhere on Instagram and the rest of the food blogging universe. At my job in market research a big manufacturer of oats stepped up to us and asked: How, why and what the heck is going on?? We started investigating and asking a lot of people online about their breakfast habits. That was the first time I thought I could give it another try myself. I was one of those many people that simply can’t stomach oats in porridge form. After trying it a couple days every morning in the winter I kind of enjoyed them… Oats kick-start your body, give you energy for hours and are actually really really good for you! Eating porridge for breakfast is something you either really love or really hate. There is not much ground in the middle! But somewhere along the journey I switched sites, because I found a way to make them really tasty! The two secrets are: Skip the milk and add banana! Do you know those delicious deep-fried bananas drizzled with honey you sometimes get in Chinese restaurants? Wouldn’t you like to eat this dessert as breakfast any day of the week? Well, now you can with this healthier version that tastes almost just like the deep-fried dessert. With only about 200 calories per serving this filling breakfast is a healthy treat and will keep you going for hours! Try it – you will love it too! 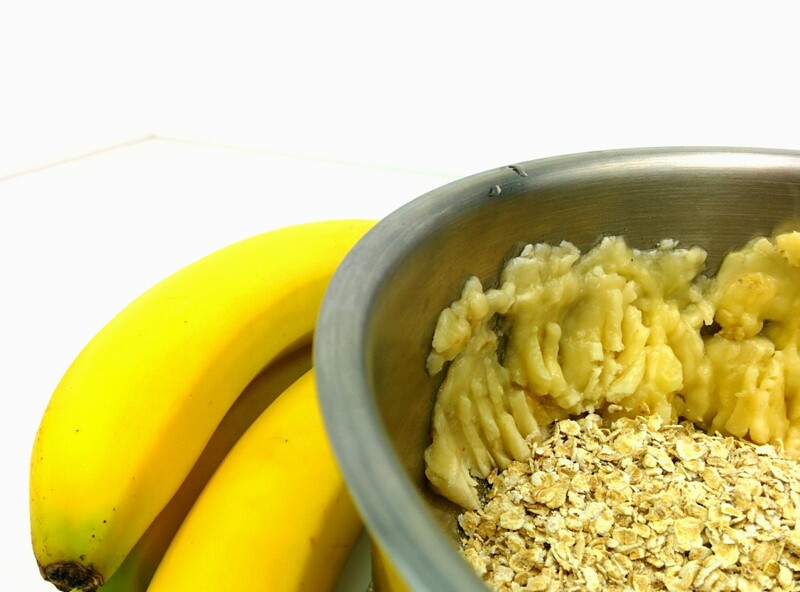 Peel the banana and mush it with a fork in a pot. Add the oats, add the water, give it a stir and bring to the boil. Reduce the heat to low and simmer for 4 minutes. You might want to stir every once in a while, to prevent the porridge from sticking. Transfer to a bowl and drizzle with honey, afterwards enjoy the rest of your day! Well, what do you think? Does porridge always need water? Have an even better kick-start-your-day recipe? Let us know in the comments below!